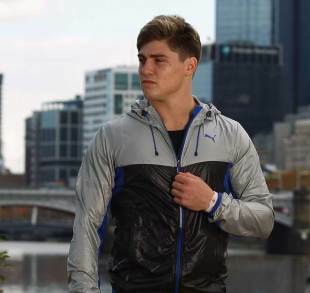 The Wallabies will be without James O'Connor for the first two Tests of the inaugural Rugby Championship. The star utility back was originally a doubt for their opener against the All Blacks on August 18 and Robbie Deans has confirmed that O'Connor is still undergoing rehabilitation on a hamstring injury that he sustained while playing for the Melbourne Rebels against the Reds back in July. O'Connor was not named in the 30-man Wallabies squad for the tournament but Deans is hopeful that they will see him in action at some point. "James is rehabbing very well," Deans said. "He's under the care of a hamstring specialist who's got more of an AFL background based in Melbourne. He's working very hard. He's making good progress but we will not promote him before he's ready, particularly with the potential for recurrent injuries. "And a bloke like James, the way he plays the game and his physical capabilities, a recurrent hamstring injury would not be a good scene for him at this stage, so we've got to make sure we take care of his long-term future. But he's going well. If you spoke to him he'd say he's good to go by the end of the month, but he won't be considered for the first two Tests." Deans also revealed that Quade Cooper may not necessarily start the first Test. Cooper was the Wallabies' first choice fly-half going into the 2011 World Cup but injury prevented him from taking to the field during their three-Test series with Wales in June and Berrick Barnes excelled in his place.